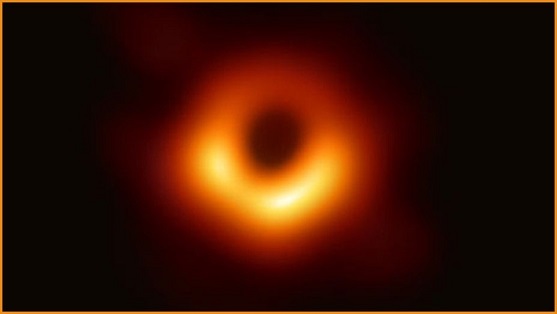 The first ever image produced of a black hole is “just the beginning”, according to the 29-year-old female scientist who played a prominent role in producing it. Last week the Event Horizon Telescope team unveiled the first ever image of a black hole, using a network of eight ground-based telescopes all around the world over 10 days in early 2017, and then implementing an algorithm to stitch the huge amounts of data into a single image over the last two years. The image of a black centre surrounded by a fiery ring was seen around the world, along with a photo of a smiling Dr Kate Bouman, reacting with glee and disbelief to the image. Dr Bouman is a postdoctoral fellow with the Event Horizon Telescope and an assistant professor in the computing and mathematical sciences department at Caltech. The 29-year-old developed the algorithm that was used to combine the data into the single image of the black hole. 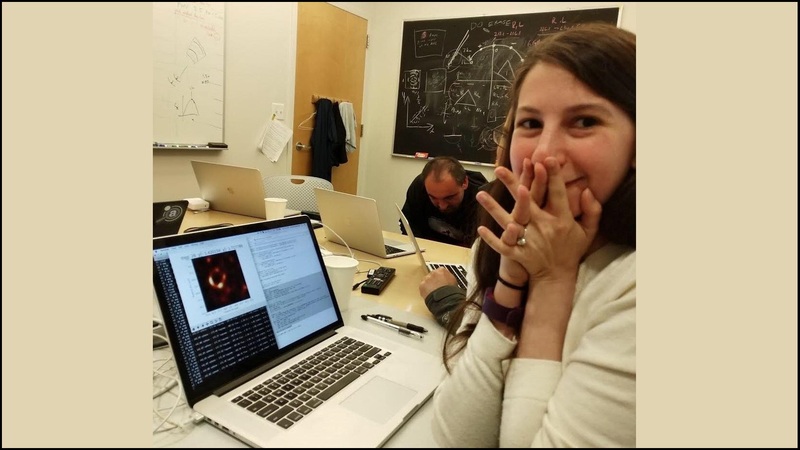 Her photo, posted to Facebook last week, went viral around the world, but Dr Bouman was quick to clarify that the image was a team effort of the 200-plus scientists at the Event Horizon Telescope. “No one algorithm or person made this image, it required the amazing talent of a team of scientists from around the globe and years of hard work to develop the instruments, data processing, imaging methods and analysis techniques that were necessary to pull off this seemingly impossible feat,” Dr Bouman posted on Facebook. The 29-year-old completed an undergraduate degree at the University of Michigan and then went to the Massachusetts Institute of Technology for a masters and doctorate. It was during these studies that Dr Bouman developed the algorithm to produce an image of a black hole. Dr Bouman even delivered a Ted Talk in 2017 on how it’s possible to take a photo of a black hole. Soon after the photo of Dr Bouman’s celebration went viral, faceless online trolls targeted her with a series of misogynistic attacks, with some comparing how many lines of code were written by each scientist in the team. Andrew Chael, another member of the Event Horizon Telescope team quickly hit back at these “awful and sexist attacks”. “Together, we all make each other’s work better; the number of commits doesn’t tell the fully story of who was indispensable,” Chael tweeted. The image is of a black hole in the Messier 87 galaxy that is about 100 billion kilometres wide, and 6.5 billion times the mass of our sun.